TORONTO, Sept. 20, 2018 /CNW/ - RNC Minerals (TSX: RNX) ("RNC") is pleased to announce an updated estimate of gold production from the "Father's Day Vein" discovery at its Beta Hunt Mine (see RNC news releases dated September 9 and 16, 2018). It is now estimated that 24,000 ounces of high-grade gold has been produced from development on the 15 level at the Beta Hunt Mine. The updated estimate includes additional in-process material from the initial discovery area, specimen stones and coarse gold recovered from the expanded development area (see RNC news release dated September 16, 2018), and an increase in production over original estimates based on final out-turns received from the Perth Mint. Estimated production from the Father's Day Vein is expected to increase as the remaining material from the expanded development area is processed and development continues to be extended. Final gold ounces from the discovery area will be determined after the remaining coarse gold and specimens are processed and/or sold over the short term. All of the high grade coarse gold is being processed by the Perth Mint. "The cash flow from this massive increase in gold production from the Father's Day Vein at Beta Hunt will fundamentally improve RNC's balance sheet to a substantial net cash position, which will allow RNC to begin to aggressively explore the largely untested high-grade gold potential at Beta Hunt. With ongoing development activities based on an improved understanding of the sediment structures, we expect to provide timely updates on this important discovery. I greatly appreciate the hard work and perseverance of the entire Beta Hunt team, who made this discovery possible, and their ongoing diligence in moving the operation forward." said Mark Selby, President and CEO of RNC. RNC will be participating in the Denver Gold Forum 2018 to be held over the September 23-26, 2018 period in Colorado Springs. Mark Selby, President and CEO of RNC Minerals, will address conference at 4:30 p.m. Mountain Time (6:30 p.m. Eastern Time) on Monday, September 24, 2018. The presentation will be recorded and made available for replay by conference organizers beginning 7:00 a.m. Eastern Time on Thursday, September 27 at: http://goldforum.info/?e46play275. The disclosure of scientific and technical information contained in this news release has been approved by Kevin Small, Vice-President, Project Development of RNC, a Qualified Person under NI 43-101. This news release contains "forward-looking information" including without limitation statements relating to the liquidity and capital resources of RNC, production guidance and the potential of the Beta Hunt and Reed mines as well as the and the potential of the Dumont development project and Orford Mining's Qiqavik, West Raglan, Jones-Keystone Loflin and Landrum-Faulkner exploration properties. 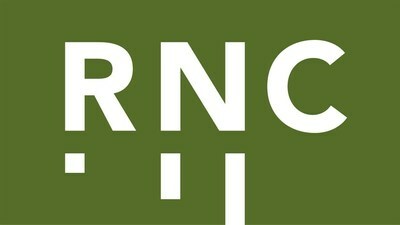 Forward-looking statements involve known and unknown risks, uncertainties and other factors which may cause the actual results, performance or achievements of RNC to be materially different from any future results, performance or achievements expressed or implied by the forward-looking statements. Factors that could affect the outcome include, among others: future prices and the supply of metals; the results of drilling; inability to raise the money necessary to incur the expenditures required to retain and advance the properties; environmental liabilities (known and unknown); general business, economic, competitive, political and social uncertainties; accidents, labour disputes and other risks of the mining industry; political instability, terrorism, insurrection or war; or delays in obtaining governmental approvals, projected cash operating costs, failure to obtain regulatory or shareholder approvals. For a more detailed discussion of such risks and other factors that could cause actual results to differ materially from those expressed or implied by such forward-looking statements, refer to RNC's filings with Canadian securities regulators, including the most recent Annual Information Form, available on SEDAR at www.sedar.com.